There is no need to present Ramzan Kadyrov, his name is getting more popular every day, appearing in the mass media of Russia and the whole world. 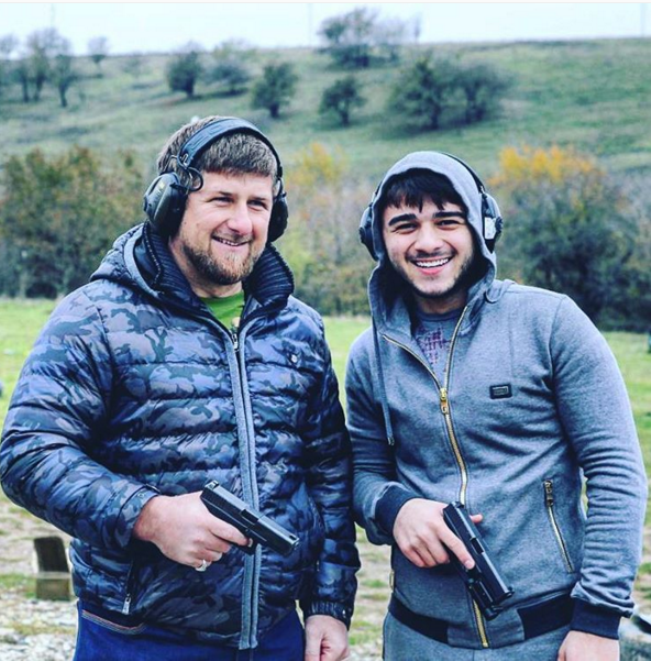 Even though the president of the Chechen Republic is quite young politician, he has already shown off as a person, not avoiding acerbic comments and having a rather long and colourful biography. Some may think that Ramzan inherited his presidency from his father. Actually, it was not like that. 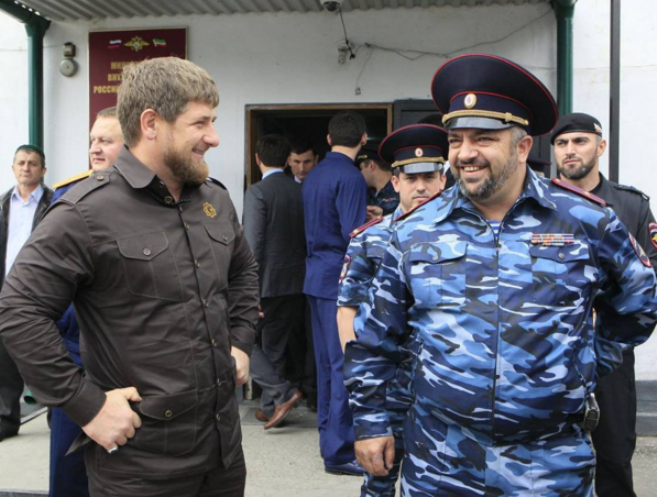 In 2007, after the presidency of Ramzan’s father, as the head of Chechen Republic Alu Alkhanov was elected and only when Ramzan himself turned 30 and the president of Russia signed the decree, the new president of Chechnya became Ramzan Akhmadovich Kadyrov. At this point there are some doubts whether his father was the one leaving such legacy for his son or it was due to Vladimir Putin, who is a very good friend of Ramzan. 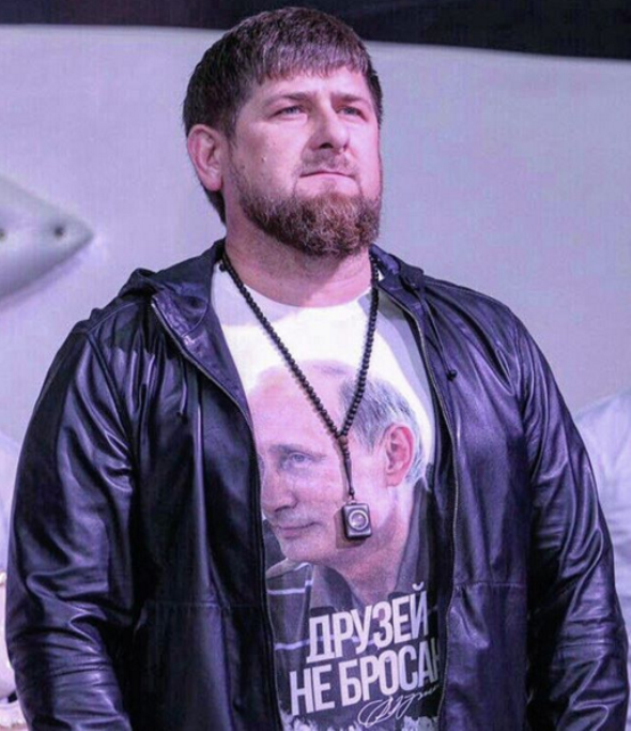 On his Instagram account Ramzan does not lack the attention to Putin – there are photos, where Kadyrov wears the T-shirt with an image of his friend while doing the sports, moreover, some posts dedicated to Russia’s and Chechnya’s mutual enemies can be found. In the Chechen Republic, according to the traditions, a brother is responsible for his brother, therefore, taking into consideration how Kadyrov supports Russia in every situation, as he sees the mutual enemies, stands for Putin in the social media, it can be assumed that both of the men are like brothers to each other, really close as if blood-related. What should also be mentioned is the well-known murder of Boris Nemcov. The suspects of this crime are 5 Chechens, the one who ordered the murder is as though not known, however, the colleagues of Boris presume that it could have been Ruslan Geremejev, a member of the battalion “sever”, who was very close to Ramzan Kadyrov. Although officially his driver was accused, it is thought that it was just an attempt to distract the attention. Ruslan Geremejev was defended by Kadyrov himself, but it might have been just a way to attract the attention to himself, an ostensible try to protect his immediate environment. The member of the opposition party “Parnas” Ilja Jashin stated that Nemcov was killed by the people, who occupy high positions in the Chechen Republic. 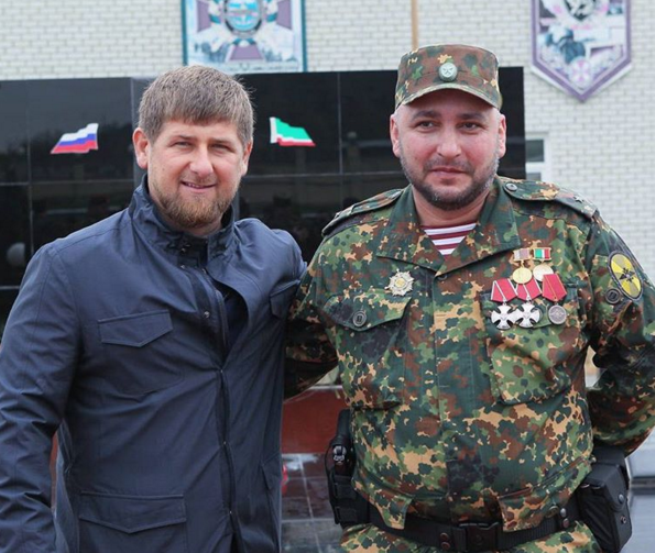 Kadyrov reacted to this by calling Jashin a “funny guy”. Not a long time ago, Chechen nationality emigrants in Norway and Austria organized the rallies against the government of the Chechen Republic, which does not defend their interests. Kadyrov did not make any excuses and did not try to prove that somebody lied or was wrong, the president assured that the families of those rallies’ participants will be found and the reasons why those people left the country will be clarified, also, the responsible activists will be found in order to explain the positions expressed during the rally. 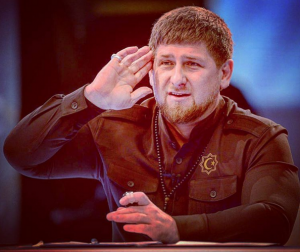 Ramzan Kadyrov has recently been talked about mainly due to his atrocious statements reminding of a World War 2. Firstly, the leader of Chechnya called the members of the opposition “enemies of the people” and “traitors” that need to be judged. Followed by such words, Konstantin Senchenko, the deputy of one of the municipalities called Ramzan Kadyrov “the shame of Russia”. It is probably nothing strange that a day later the deputy apologized for his rash and emotionally expressed words and the specific people were named as being the real “shame of Russia”. Kadyrov stated that such statements made by the opposition are a mass psychosis of the ones calling themselves intellectuals that actually need to be cured in a very good psychiatric hospital in Braguny village. Furthermore, the head of Chechnya added that he is capable to help to overcome this illness and he promised not to spare the injections. Even double-dose injections are guaranteed instead of one, which is recommended. The offer to cure reminds a lot of Hitler’s and Stalin’s methods, when the certain people were closed in the psychiatric hospitals or simply disappeared from the face of the Earth. There are different opposing pictures with the hashtags “KadyrovShameof Russia” and “KadyrovPatriot” on the Internet. In the pictures supporting Kadyrov appear famous people, for instance, the director Fiodor Bondarchuk, the singer Nikolay Baskov and the football team “Terek”. The opponents of Kadyrov do not sit on their hands as well – they collect the signatures of those, who think that the president of Chechnya needs to resign. The number of those already signed is about 10 thousand. Near the Pavelecki train station the portrait of Ramzan Kadyrov was hung. It reminded of the poster of Barack Obama in 2008, containing the written word “Hope”. However, on the poster with the Kadyrov’s face the word “Shame” is written. The poster did not hang for a long time, but thousands of people have already seen it. In spite of all the suspicions and harsh statements, Kadyrov gained a lot of support. On 22nd of January a rally supporting Ramzan Kadyrov took place. According to the organizers of the rally, more than one million of people participated in it, which is almost all the citizens of Chechnya. The rally took place near the mosque, which is called “the heart of the city”. Some people were arrested, but just because they were not checked in as the participants. The crowd of people was not shouting, they were simply marching with the posters having the written slogans supporting Kadyrov on them, his portraits, in addition, they had the flags of Russia and Chechnya in their hands. On the stage the supporting speeches were being told and only after that the slogans were chanted. No incidents were registered. On the whole in the Chechen Republic live only 1 390 000 people. That Friday was announced as a day off in order to make the rally happen. For this reason, even the teachers got the short messages stating that the participation is compulsory and they need to share the information with the parents of their students. The special posters were prepared, they had some slogans on them, for example, “Navalny – the friend of America, the enemy for Russia”, “Simple advice for you, citizen – do no stand besides the fifth column”, etc. The teachers going to the rally took the portraits of Ramzan Kadyrov that were hanged on the wall of each classroom.